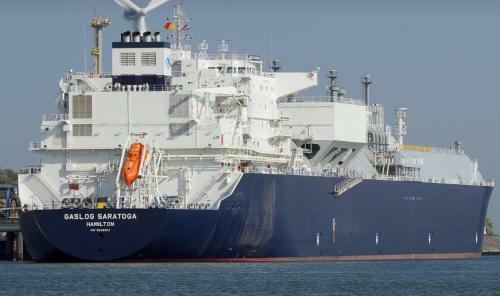 Monaco-based LNG carrier owner and operator GasLog has entered into a 12-year fixed-term charter with Japan’s JERA for a newbuild LNG carrier. GasLog signed the agreement with LNG Marine Transport Limited, the principal LNG shipping entity of JERA. The vessel is scheduled for an April 2020 delivery from South Korea’s Samsung Heavy Industries under a contract from March 2018. The 180,000 cubic meter Mark III Flex Plus design will feature low pressure two stroke propulsion. GasLog said the rate of hire for the charter was in line with mid-cycle rates. “Within the last week we have announced new charters for our uncommitted newbuilds to two very high-quality new customers in JERA and Endesa, S.A.,” Paul Wogan, CEO of GasLog, stated. Following the start of the 12-year charter to JERA, GasLog Partners will have the right to acquire the carrier (hull 2274) pursuant to the omnibus agreement between GasLog and GasLog Partners. As a result, GasLog Partners’ potential dropdown pipeline will increase to 13 LNG carriers with charter length of five years or longer.